This entry was posted in Kit, Running, Training and tagged 2XU, aberdeen, baby got back, compression tights, running by MedalSlut. Bookmark the permalink. Cool blog! I’ve started a blog so many times but never managed to keep it up.. I too hate tights that sit too low, especially in the cold windy scottish/finnish winter. 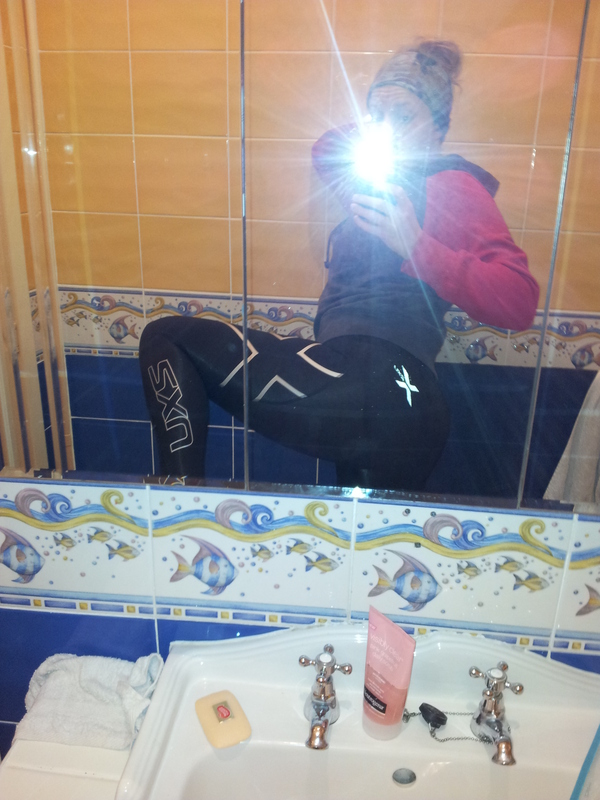 So just thought I’d share what works for me: I’ve got winter running tights from GORE which are absolutely amazing. They sit all the way up at my navel (or slightly above) which is fantastic because a) they keep my lower back nice and warm and b) they don’t squeeze my love handles but rather hide them in. 😛 They’ve also got a longer leg than most tights I’ve tried which means that there is no cold air bothering my ankles either. Super highly recommended! They’re mega comfy and I’ve run in then in temps ranging from +5 to -7 celcius and they work perfectly in that. Thanks! I’ll have to check out the Gore tights, anything that has a lot of coverage, especially in the cold wind, is a plus.